Sermon: "How Not to Raise Pagans"
Grace Church of the Valley was thrilled to welcome Dr. Albert Mohler as a special guest speaker on Sunday morning, February 24. We had a special Q & A time with Dr. Mohler at 9:00 am and then during our Worship Service at 10:30 am Dr. Mohler preached from Deuteronomy 6 on "How Not to Raise Pagans." 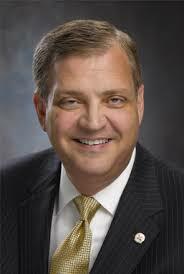 For more information on Dr. Mohler, click here.